Remote areas of Peru are often located far from formal garbage disposal facilities, and litter can be a common sight long otherwise pristine land. In Cusco, the popularity of trekking can make this problem much worse, making ecological travel a challenge. Although Apus Peru packs out all their own trash, many other trekkers do not. For this reason – and in the spirit of ecological travel in Peru – we organize clean up treks throughout the year. We do clean-up treks along our most popular alternative trekking routes, but especially Choquequirao and Lares. We organize 8-12 departures per year along our most popular Andean Treks and dedicate our time to cleaning up the trail. Join us on any clean-up trek and we’ll give you 20% off the normal trekking price! You’ll also receive a stylish t-shirt as a souvenir of your contribution towards keeping the Andes mountains healthy and happy. It’s our way of encouraging a bit of ecological travel in Peru. Help us be Handy in the Andes! 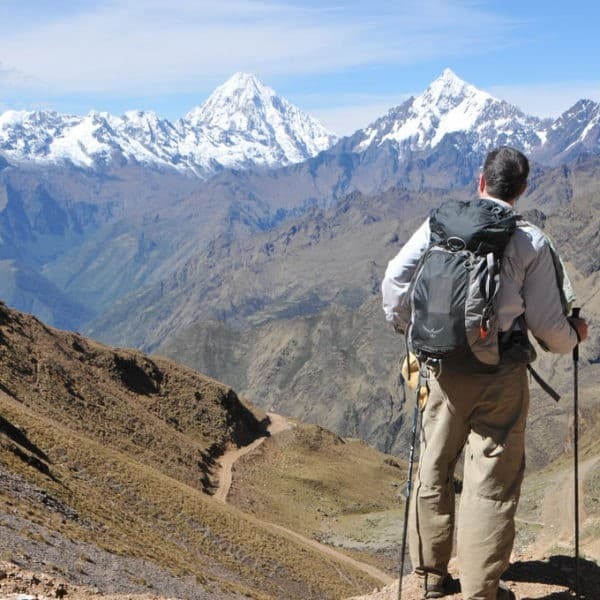 Our Clean Up Treks are part of our commitment to Responsible Tourism and ecological travel in the Andes. These are fun group departures that will include litter pick up as we hike through beautiful, remote areas. The team will work on a rotational basis so that you’ll still have time to enjoy the beauty of your surroundings. Want to know more? Read more about our Clean Up Treks on our blog, and also hear from past Handy in the Andes veterans for a real sense of what it’s like! Do you have a group of 4 and want to do a Clean Up Trek? Contact us! We’re happy to organize a Clean Up Trek on almost any day of the year for groups of 4 or more. If you have a date in mind, let us know, and we will tell you if it’s available for a Clean Up Trek. •	7kg of your things to be carried by mule, including your sleeping bag. This means that your hands will be free to collect litter! •	Gloves and trash bags. •	Your very own Clean Up Trek t-shirt! •	20% discount across the board off the listed rates. •	The first four trekkers to book will be offered a free sleeping bag and walking stick! See What’s Not Included under the description of the trek you will be doing. •	These tours will depart any day with 4 people, and will be priced according to our normal sliding scale which is based on group size. Minimum 4; maximum 12. •	The Clean Up Trek cannot be combined with any other discounts or promotions. For the most up-to-date information on Clean Up Treks, check out the monthly listings on Trekkers Wanted!